Does Brain Research Worsen the Addiction Stigma? When it comes to the neurobiology of addiction, the research community has made great strides in a few hectic years. However, as addiction counselor William White wrote in 2007, are we lacking a comparable neurobiology of addiction recovery? What can be done to balance out the downside of public perceptions related to the brain disease of addiction? White suggests that what is missing is what he refers to as the neurobiology of addiction recovery. When we convey to people that addiction is a brain disease that “alters emotional affect, compromises judgment, impairs memory, inhibits one’s capacity for new learning, and erodes behavioral impulse control,” we are not always helping to reduce the stigma of the disorder. --“What is the time period over which such pathologies are reversed in recovery—days, months, years? --“Are there critical differences in the extent and timing of neurobiological recovery related to age of onset of use... age of onset of recovery, gender, genetic load for addiction, developmental trauma”, and other factors? 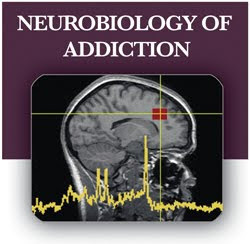 White’s paper, “In Search of the Neurobiology of Addiction Recovery: A Brief Commentary on Science and Stigma,” is available HERE. Very thought-provoking. There's always a danger when a behaviour goes from being "moralized" to "pathologized" that it will become stigmatized in a different way - "You're ill" is perhaps not as bad as "You're bad" but if they both carry the implication that change is impossible, they're both unfortunate labels to carry. The danger with brain scans in particular is that they show "abnormalities" and make them seem like unchangeable "brain damage". In fact, every aspect of our personality and behaviour must be associated with some kind differences in the brain because our minds are our brains. However, since we can change our behaviour, and we do so everyday, this means our brains must be changing as well. Brain scans give the impression of permanence but in fact the brain is always plastic. Thanks for your thoughts, Neuroskeptic. And thank heavens for neural plasticity, which allows everyone to be an optimist when it comes to making biobehavioral changes in one's life.